Put your digital life on the sleek, high capacity My Book Essential external hard drive. With WD quality and USB 3.0 and USB 2.0 connectivity, this drive is designed for today with tomorrow in mind. Visual backup software and password protection with hardware encryption ensure your data is protected. 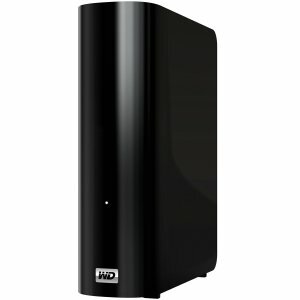 Lightweight and easy to carry, this drive is ideal for fast storage to go.Dimension: 6.5 x 5.3 x 1.9 Inches.